What else could I make but cupcakes? 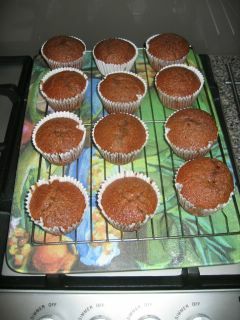 These are the coca-cola cupcakes from Nigella Lawson's How to be a Domestic Goddess. Ordinarily I'd choose something more rich and decadent, but I had all the ingredients for these at home, and the absence of double cream or dark chocolate in the ingredients list meant it was cheap to make! Bonus! So it's just an easy melt-and-mix dealy. You sift the dry ingredients into one bowl, and set it aside. Next, you mix buttermilk and an egg in another bowl. 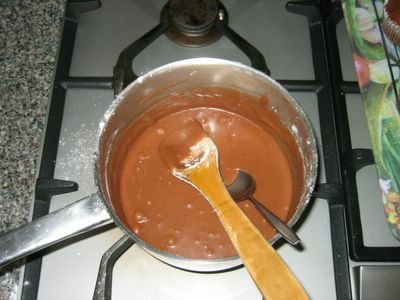 Then, you melt butter, cocoa and coca-cola in a pan. Mix it all together, and pour the batter into muffin tins. A word of warning - the batter is extremely wet. 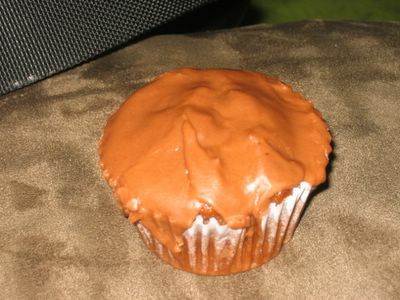 Like, so wet that I thought it would soak through the muffin papers. But, I chucked it in the oven nonetheless, and they turned out fine. Here's the icing. It's pretty simple too, just cocoa, icing sugar, coke and butter, melted and stirred together. In the recipe, Nigella instructs you to ice the cupcakes while warm, but I'd advise against this. 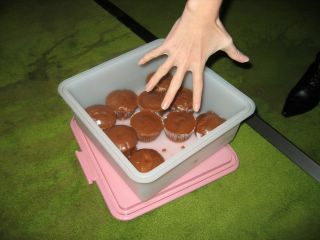 You see, the icing was very sticky, and icing the warm cupcakes resulted in a big, sticky (but delicious) mess. They were really nice - very light, moist and sweet, and a million miles away from the rich, dense chocolate cakes I'm used to. I think they'd go down really well at a kids' birthday party.